Stay updated on family law matters that could affect your case. Steve Benmor is a recognized divorce lawyer, family mediator, arbitrator, speaker, writer and educator. Mr. Benmor has worked as lead counsel in many divorce trials, held many leadership positions in the legal community and has been regularly interviewed on television, radio and in newspapers as an expert in Family Law. 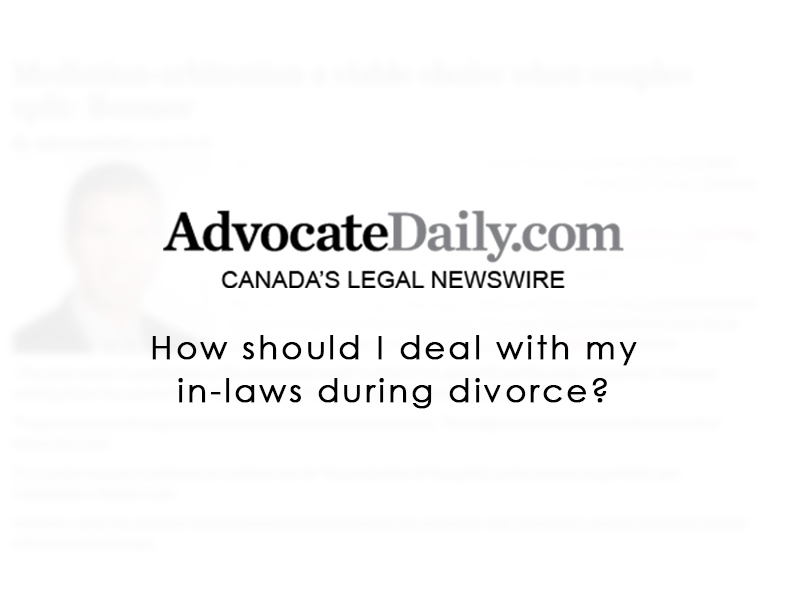 Steve Benmor discusses how you should deal with your in-laws during a divorce. Read the full article on Advocate Daily. © Copyright Benmor Family Law Group LLP 2019. All rights reserved. Family Lawyer Toronto - divorce, custody & access, support, marriage contracts & more.